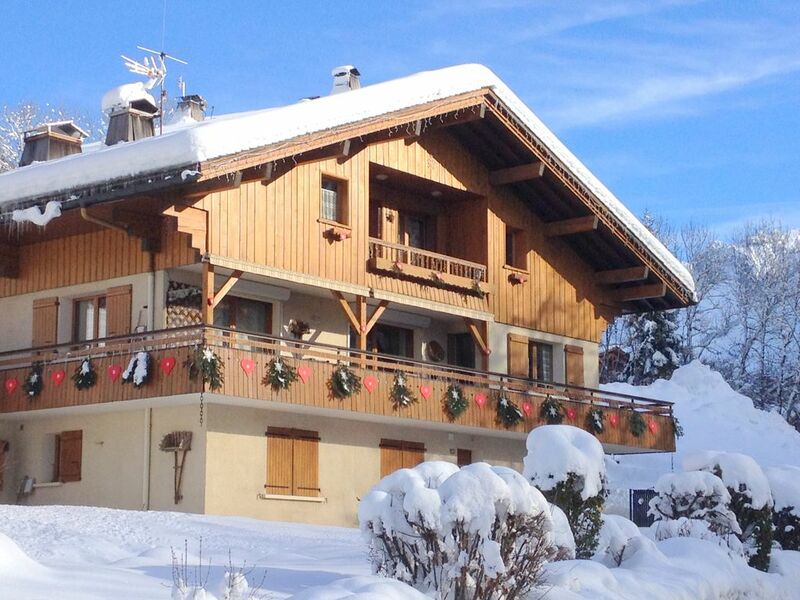 This is a welcoming chalet close to various shopping facilities. In a village in Savoy, that kept its authenticity till today you will have unforgettable vacations. Bathroom 1: Bathroom with large washing basin and bathroom cupboard, an 80 x 80 cm shower, a towel warmer and a closet with storage space. The toilet is in a corner next to the shower. Bathroom 2: Bathroom large washing basin and bathroom cupboard, a 90 x 90 cm shower, a towel warmer and a closet with storage space. Separate toilet. There is a flat TV with satellite. DVD player, book shelf, free broad band internet access. We enjoyed a great holiday in this lovely apartment ! It was spacious, extremely well equipped and had a lovely, comfortable home from home feel to it. The owners were very welcoming and gave us lots of useful information about the locality. La Croix Saint Maurice Hotel Restaurant in The Market Square. Would definitely recommend this property for winter or summer stays. Très bel emplacement, chalet confortable et nickel. Des hôtes disponibles et charmants. Je le recommande vivement ! appartement bien situé , spacieux, très fonctionnel, 2 chambres confortables, situé prés des pistes et a proximité des commerces. accueil des propriétaires très chaleureux et sympathique . Propriétaires très sympa. Les 2 appartements au top et très propres. Parkings pour les véhicules au niveau du chalet.Situation géographique idéale pour les fans de biathlon. Nous reviendrons pour une prochaine coupe du monde,c'est sûr. Very pleasant surroundings: in winter the proximity to the cable car and the ice skating rink is very convenient. In summer there is an amusement park with swimming pool with slides, games for children, archery, trampoline and pony riding. All important shops and services are very close. Two small supermarkets are open during the whole year and a large Intermarché supermarket is 6 km away. The apartment is only 100 m away from the starting point of the cross-country ski runs, 200 m from the cable car of Rosay, which offers connection to the skiing area Grand-Bornand, and 400 m from the ice skating rink. With the free shuttle buses, which stops right in front of the accommodation, you can discover the whole village and the surrounding skiing stations La Clusaz and Manigod.